I love art. When Mike met me I owned quite a few paintings and sculptor pieces. He had never actually met anyone who would go to an art show and drop $1,000 or more on a painting, until he met me. This coming weekend here in Olympia is the forty-ninth Olympia Arts Walk. Mike is doing his best to remain calm and while he won’t be able to keep me away at least he knows I do not have it in my mind to buy anything. Honest. 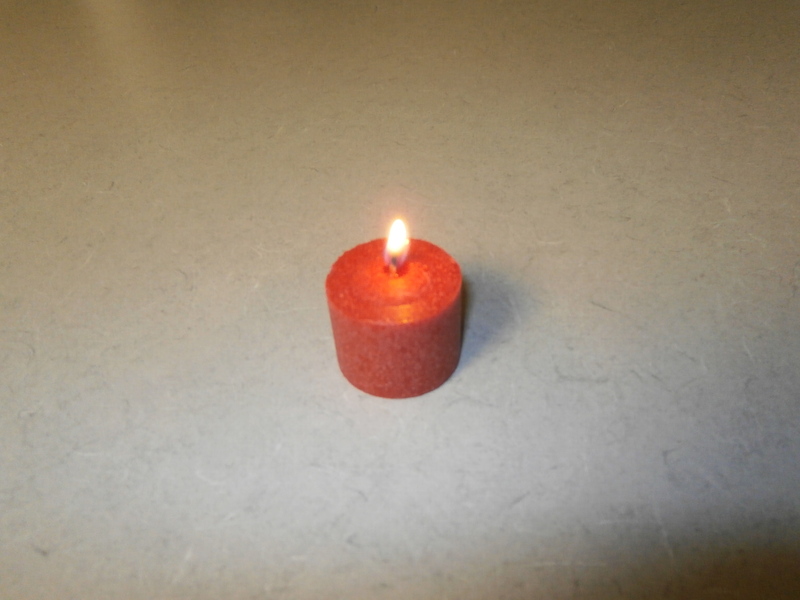 The city of Olympia has hosted these events twice a year for the past 24 years, one event in the spring and one in the fall. For this event 96 local and small business owners have opened their doors and they will be displaying artwork from mostly local artists in their establishments. Over this two-day event, Friday, Oct. 3 from 5 to 10 p.m. and Saturday, Oct. 4 from noon to 5 p.m., I will be armed with a map of the participating downtown businesses and I’ll be strolling along the arts walk path. 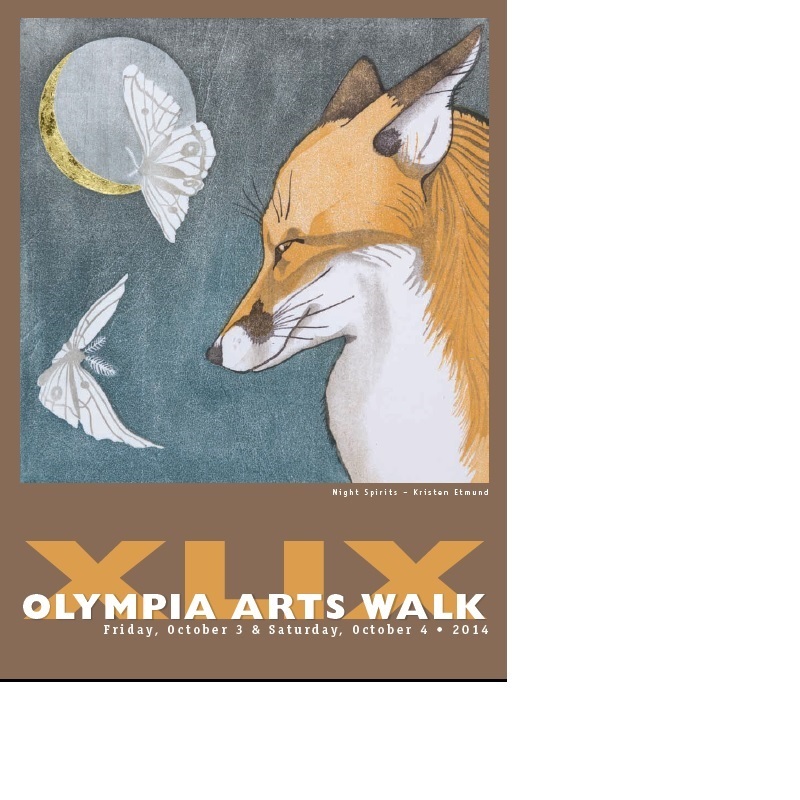 Cover art for the forty-ninth Olympia Arts Walk. Because there are over ninety artists participating there is no way for me to see all of the artwork, most of which will be for sale. It will therefore be enough for me to just walk amongst the art for a time, to get to meet some new and hopefully interesting people, and to see some of the new businesses that have opened in the city’s core during the past year. There will be food for sale, musical performances by various bands scattered throughout the downtown area and a new event, a Culinary Throwdown, to keep everyone entertained. The Arts Walk was created as a showcase for local talent and it is a signature event here in Olympia. Many of the younger entrants of the event have actually gone on to study art at a university because of the positive feedback they have received from participants. There are many ways to give back to ones community and providing encouragement, and even becoming a patron of an aspiring artist isn’t a bad way to go. Raised as I was in Buffalo, NY, I was exposed to the world-renowned Albright – Knox Art Gallery and I even took art classes there as a child. While the teachers were nice it didn’t take long for everyone to see that I wasn’t the second coming of Grandma Moses. I have however always appreciated artistic talent in others, no matter the medium. The Arts Walk is not just a showcase for painters. There will be sculptures, Native American art, bead work, pottery, jewelry, photography, woodworking, blown glass and perhaps thee-dimensional art pieces. Pablo Picasso once said, “Art washes away from the soul the dust of everyday life.” I have always found this to be true. Good works of art move me and take me away to other places, to other times, to other dimensions. I am therefore looking forward to my walk amongst the art.